ENFIELD, Conn., Feb. 27, 2015 -- The LEGO Group, world renowned manufacturer of construction toys, today announced that Disney XD has acquired LEGO® Star Wars™: Droid Tales for airing later this year. The animated content series consists of five 22-minute episodes that re-tell the Star Wars saga in chronological order from Star Wars: The Phantom Menace up through Star Wars: Return of the Jedi. Disney XD is also currently home to the animated hit series Star Wars Rebels. NEW YORK, Feb. 12, 2015 -- AMERICAN INTERNATIONAL TOY FAIR - LEGO Systems, Inc. debuts its largest collection of new building sets ever - 313 new products - at the American International Toy Fair. Among the new offerings is LEGO® Classic - a collection of basic bricks and special elements designed to inspire and encourage open-ended and creative building fun. LEGO Systems will showcase new products in booth #1651 in Hall 3B of New York City's Jacob K. Javits Convention Center from February 14-17. NEW YORK, Feb. 12, 2015 -- AMERICAN INTERNATIONAL TOY FAIR -- LEGO Systems, Inc. today announced a variety of exciting new LEGO® Star Wars™ products for 2015. From smaller sets featuring droids and inventive microfighters, to larger sets featuring iconic vehicles and starships, to a new line of constructible figures, the 2015 LEGO Star Wars collection is one of the largest and most diverse since its launch in 1999. Sets feature characters and vehicles from the classic Star Wars saga, the new Star Wars Rebels™ animated series and the highly anticipated seventh film Star Wars: The Force Awakens. NEW YORK, Feb. 12, 2015 -- AMERICAN INTERNATIONAL TOY FAIR – LEGO Systems, Inc., the North American division of the world-renowned construction toy brand, achieved U.S. consumer sales growth for the tenth consecutive year in 2014. The company increased its overall U.S. toy market share to end 2014 in its strongest position ever in U.S. toys. As a privately-held company, LEGO Systems does not disclose internal market performance data and offers third-party data for directional purposes. NEW YORK, AMERICAN INTERNATIONALTOY FAIR (February 12, 2015) - Since its January 1, 2015 launch, a collection of six LEGO® Minecraft sets have been driving traffic into toy aisles at a time of year when toy sales are not as common. Demand is strong for the new building sets, which give physical form to the digital creative building opportunities of one of the most popular gaming franchises ever to capture the imagination and time of today's children, enabling digital landscapes to come to life in physical form. Each set creates a custom biome with role play opportunity, or can be combined with the others to create ongoing Minecraft adventures. NEW YORK, Feb. 12, 2015 -- AMERICAN INTERNATIONAL TOY FAIR – LEGO Systems, Inc. today announced LEGO® Elves, a new play theme featuring a rich story-driven fantasy universe and intricate models that offers yet another build-and-play experience, particularly for older children interested in exploring fantasy worlds. The collection consists of eight building sets that begin to launch in March 2015. LEGO Elves introduces builders to Emily, a girl who is unexpectedly transported to a fantasy world called Elvendale, where she encounters four magical elves who possess the power of the elements – fire, wind, air and earth. Only by working together can they find the four keys to unlock the portal so that Emily can return home. Digital content and publications will be released throughout the year to accompany the play theme to help builders become more immersed in the fantastic storyline and inspire hours of building and role play fun. 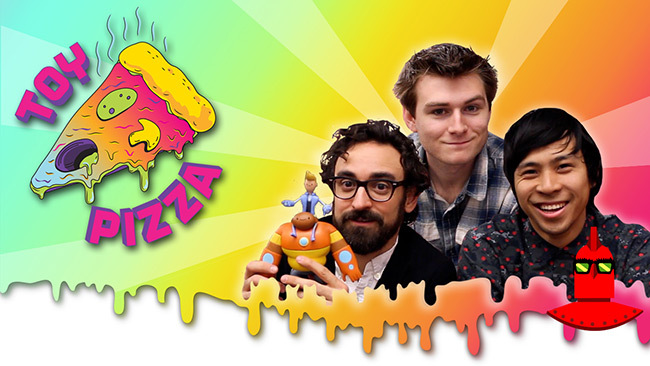 February 2015 - The Toy Pizza series on YouTube has a new episode online! Episode 51 features their favorite five LEGO sets and a peek at the ThreeZero Game of Thrones Tyrion Lannister figure. Don't forget to check out their action figure Kickstarter project! LONDON, Jan. 23, 2015 -- BRITISH TOY AND HOBBY ASSOCIATION TOY FAIR - The LEGO Group today announced its partnership with Warner Bros. Consumer Products to develop a collection of LEGO® building sets inspired by the timeless and beloved animated franchise, Scooby-Doo™. Five new building sets will bring the zaniness of classic characters including Shaggy, Scooby and the entire gang to life in LEGO form for the first time ever, and are scheduled to hit store shelves in August. In another first, the Scooby Gang will be animated in LEGO form. In 2015, fans can look forward to a 22-minute LEGO special, featuring Scooby-Doo, and produced in partnership with Warner Bros. Animation. In addition, Warner Bros. Animation will also be producing made-for-video movie titles, which will be released by Warner Bros. Home Entertainment in the coming years. FORT LAUDERDALE, Fla., Oct. 30, 2014 -- MSC Cruises and the LEGO Group have joined forces to bring children and families the ultimate LEGO Experience at sea, including LEGO® designed playrooms and entertainment options. As part of the partnership, MSC Cruises is implementing a special program across its fleet in which children, as well as adults, will have the chance to compete in LEGO® themed competitions and games on a designated day during a sailing. Children who participate in the LEGO® Experience Day will receive an official LEGO® Junior Master Builder diploma. 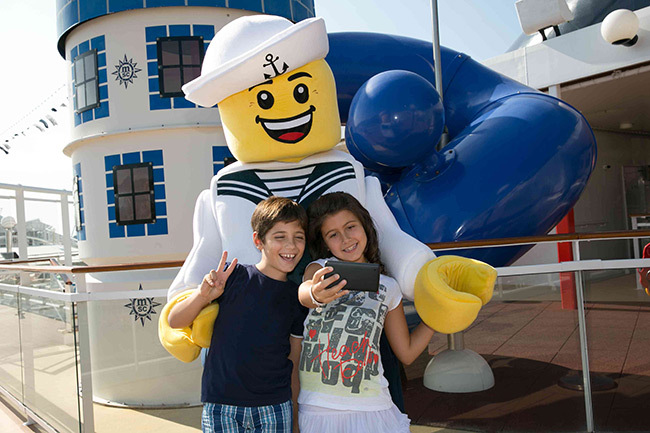 In addition, all guests will have the chance to meet and greet Sailor Walkabout – the LEGO Sailor Mascot – who will be available during cruises for photos and entertainment. PARSIPPANY, NJ -- (Aug 13, 2014) - PNY Technologies®, Inc. ("PNY") today announced a new brand licensing partnership with LEGO® Group to produce LEGO branded USB Flash Drives. This new line of USB Flash Drives will launch in multiple colors in both 8GB and 16GB options. PNY's new branded LEGO USB Flash Drive was designed to appeal to LEGO toy enthusiasts of all ages. Designed in the shape of a traditional LEGO brick, this USB Flash Drive holds up to 16GB of data to easily store, share, and transport media and files. Available in red, blue, and yellow options, the LEGO USB has a capless, sliding design and an included key fob for easy attachment to any key chain. 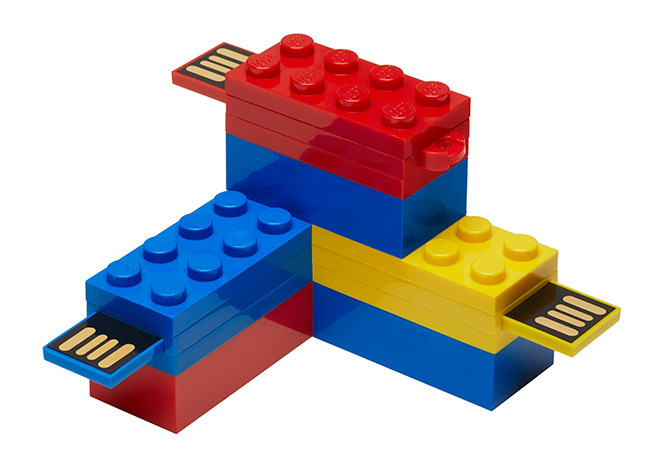 Each USB Flash Drive also comes with an additional LEGO brick in either blue or red for building fun. Both the LEGO USB and the additional LEGO brick are compatible with all LEGO brick elements/pieces, so users can combine and make their own creation.